Over the past 55 years the Laurenzo's have been renowned for their great tortillas, Mexican food, warm smiles, outstanding service and fantastic dining atmosphere. 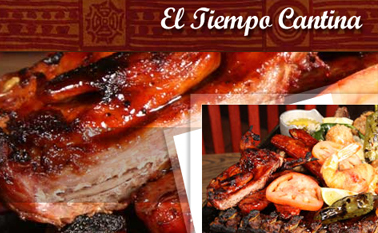 El Tiempo Cantina clearly has something delightful and unique, and once you get there, you will want to come back again and again. Ask anyone in Houston where to go for the best Tex-Mex, smiling faces and laughter, with worry free Texas style conversations and they will tell you, El Tiempo Cantina is the place to go!